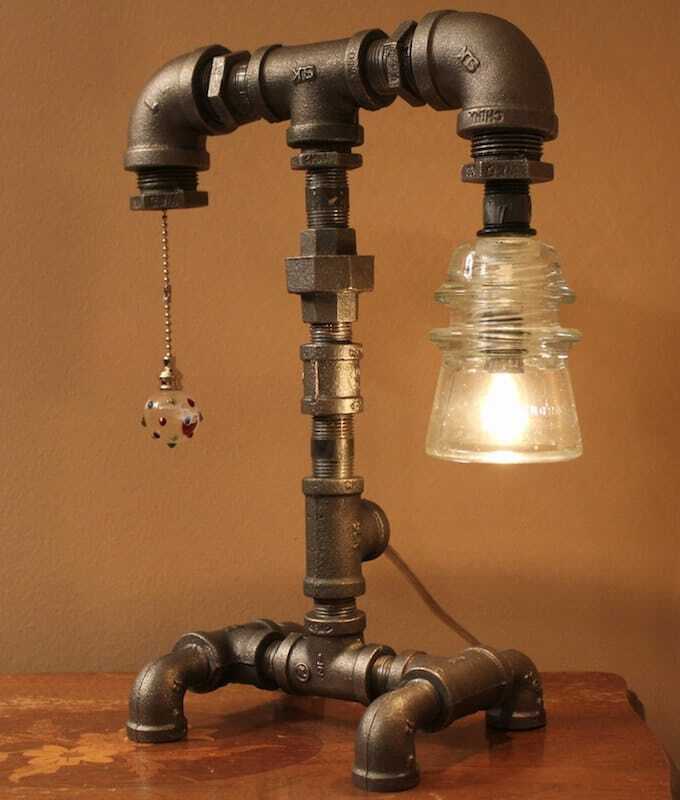 Pipe lamp is one of the most reward full DIY Project in the world thanks to their price and simplicity. 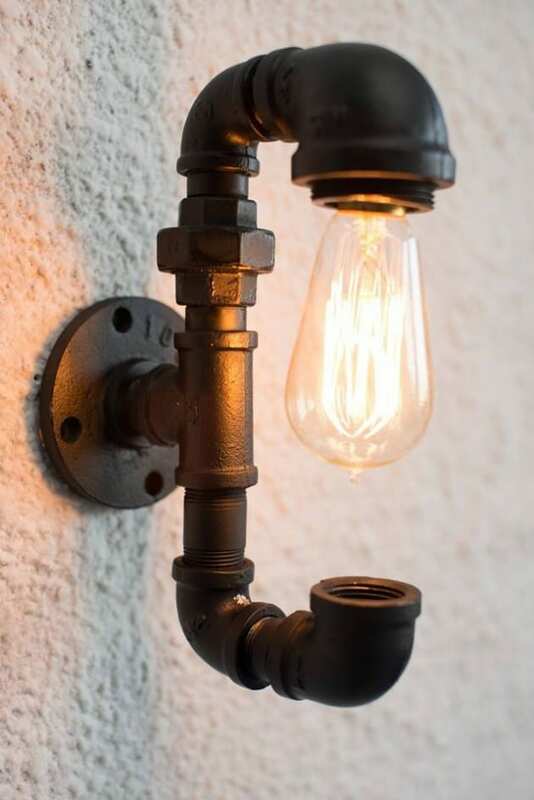 So if you have some old unused pipes in your household and are ready to feed your imagination with industrial design pieces, let’s make one! 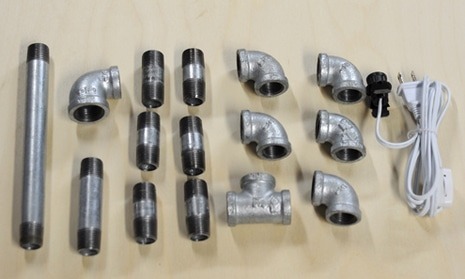 1- Remove the stickers and tape from the pipe parts and cleaning them with mineral spirits or citrus-based cleaner. 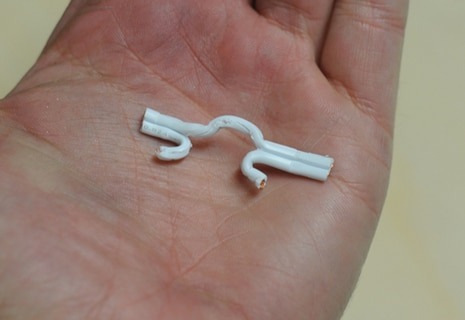 2 – Cut the cord away from the plug and switch to pass it through the pipes. 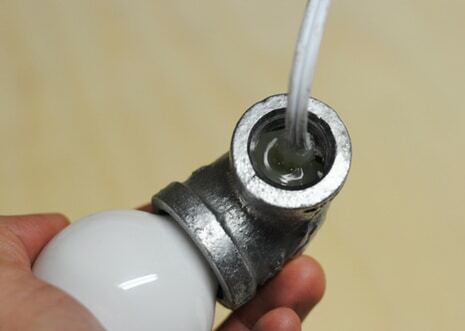 3 – Insert a bulb in the socket and thread the now-cut cord through. 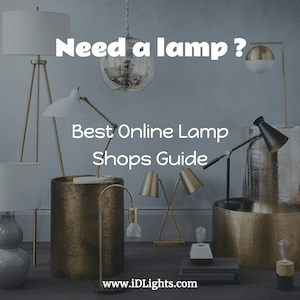 4 – Choose a place where the cord will exit the pipe lamp, and drill a 5/16″ hole. 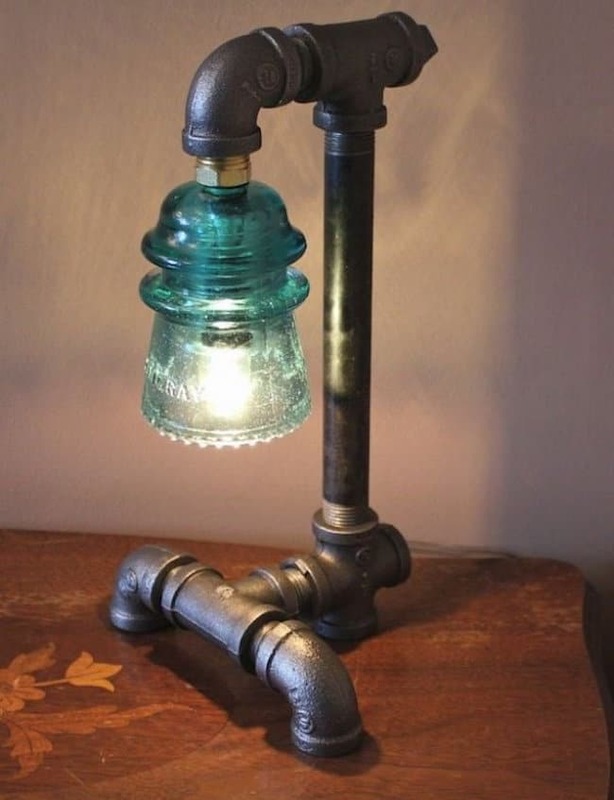 5 – Then, just assemble all the pipe lamp parts as desired, threading the cord through where necessary. 6 – Open the rotary switch, and note how the fixture works. 7 – Test to make sure everything is set up properly, and get to work! Cut the cord right above the switch, and then cut the switch out. We’ll reinstall it later. Place the bulb where it looks best and then use the hot glue to fill the cavity in the reducer to hold the socket in place. Be sure not to get any glue on the threads. 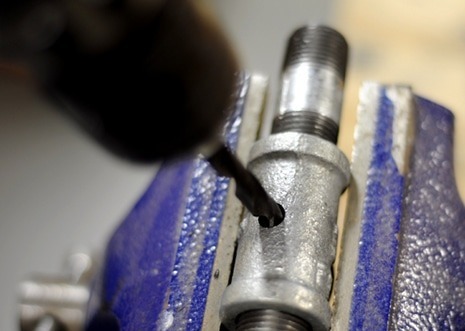 When drilling into metal, be sure to use a slow speed and wear proper safety gear. Remove the cut cord, then recreate the setup to connect the two ends of the cord. Connect the cold wire (the one with ridges) with solder or by twisting the wires and sealing with electric tape. Insert the hot wire into the proper channels, and close the switch to insert the little teeth.